On a regular school day, students at three innovative sister high schools in Tacoma might attend classes in graphic design or songwriting or maybe zoology. But for three-and-a-half weeks this January, 44 students from the three schools–Tacoma School of the Arts (SOTA), the Science and Math Institute (SAMI) and Industrial Design Engineering and the Arts (IDEA)– attended classes devoted 100 percent to a single subject: the American Red Cross. Making the Red Cross a subject for study during the schools’ mid-term Mini-Term Program was the collaborative idea of Debbie Shapiro and Anthony Blake — Humanities and Science teachers at SOTA. “I was struck by how many natural disasters were in the news, with the clear likelihood that would continue,” says Shapiro, the school’s link to non-profit organizations in Pierce and South King counties. The school had previously partnered with the Red Cross in a very limited way. “I thought it was important to establish a stronger relationship that would give students the opportunity to assist those in need on a deeper level,” Shapiro says. Working with the Red Cross on such things as disaster response and first aid may seem like a stretch for schools that focus on the arts and science. In fact, SOTA’s mission statement puts connecting with the local community high on its list of goals. Shapiro says that she explained to her students what they could gain from an association with the Red Cross. “It was important for our students to know there are a lot of career opportunities in the Red Cross using a wide variety of skill sets,” she says. There were 37 Mini-Term classes in all, with the Red Cross class just one of them. “Kids really wanted this class,” says Shapiro. Not only were all 44 available spots filled quickly, but there was a waiting list of applicants who wanted to be in the class. “A lot of kids were really upset they did not get in,” says Shapiro. 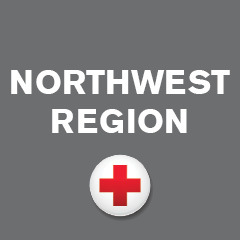 One person who loves the idea of the class is Bonnie Bush, executive director of the South Puget Sound Chapter of the Red Cross based in Tacoma, and one of the seven chapters that make up the Red Cross Northwest Region. In the three-and-a half week Mini-Term class, students were exposed to just about everything the Red Cross does. For one thing, they were trained and certified in Adult, Pediatric and Infant CPR/ AED and First Aid. Red Cross staffer Megan Elliott helped train the SOTA teachers who actually ran the course. Kriss Salgado, Red Cross Northwest Preparedness Manager, introduced students to the Sound the Alarm smoke detector program. Students met with Evan Brazitis, a Red Cross disaster specialist, who taught them how the Red Cross responds to most common disasters, such as home fires. Volunteer Fran Adams, who has responded to nearly two dozen natural disasters, explained to the students what it was like working in a Red Cross shelter in a disaster zone. Nurse Ann Cook explained how the Red Cross provides physical and mental health services at disaster scenes. The team did wilderness training at the 760-acre Point Defiance Park, where the Science and Math Institute campus is located, and they also learned about Red Cross blood services. Lastly, the students went into Tacoma neighborhoods to promote the Red Cross’s free home smoke alarm installation program, Sound the Alarm. The result, says Bush, is a pool of excited, involved young people already drawn to playing roles within the Red Cross. Already, she says, a couple of students have volunteered to keep on working with the Red Cross. Bush expects more students to volunteer. At the least, there is now a cadre of committed, involved and trained teens in the Tacoma area who can be called upon when the Red Cross needs volunteers in a hurry to respond to some big event somewhere in the world with their sleeves rolled up and their hearts open! Visit: RedCross.org and find out about opportunities to support your community like these students.